The Payroll/Staff Accountant is responsible for both payroll and staff accounting functions within the organization. Payroll responsibilities include payroll processing and the recording of all payroll entries into the general ledger. Staff Accountant responsibilities include ensuring that all revenue (earned and contributed) received is properly recorded. • Compile all payroll data for processing by the payroll provider (Paycom) including hours worked, taxes, insurance and employee identification number, from time sheets and other records to process payroll as well as prepare and submit payments of employee payroll deductions and contributions. • Review wages computed and corrects errors to ensure accuracy of payroll, in collaboration with Human Resource department as well as prepare and submit payments of employee payroll deductions and contributions. • Prepare and record payroll journal entries into the general ledger including department allocations and ensure payroll disbursements are properly recorded in both the payroll system and the general ledger. • Prepares periodic payroll reports of earnings, taxes and deductions, as required. • Ensure that all time requirements are met and that the hours are approved by both the employee and the supervisor. • Review, reconcile and record daily sales revenue admission and gift shop sales, memberships, contributions and parking revenue. • Process and reconcile cash and check receipts. • Month-end closing duties and journal entries membership revenue allocation and balance sheet account reconciliations. • Other projects as assigned (deadline provided at time of project assignment). • Assist in the accounts payable/purchasing function by processing purchase order request and preparing vendor payments for mailing. • Assist the Senior Accountant as needed with accounting, reporting and other tasks as the needs arise. • Must be proficient in accounting, possess analytical and problem-solving skills in order to analyze information, research and resolve issues in a timely manner. Accuracy and attention to detail is a must. • Must have the ability to handle confidential financial and payroll information in a professional manner. • Must be highly motivated and a self-starter that works well independently, with others and in a group setting. He/she must be well organized, efficient and flexible to complete work in a timely manner, meet deadlines and successfully manage the changing workload and competing demands. • Oral and written communication skills are a must. The individual must be able to communicate in a clear and concise manner. • Must be emotionally grounded and able to manage difficult or emotional situations, responds promptly to customer (both internal and external) needs for service and assistance. • Bachelor’s degree in Accounting and 3-5 years of related work experience in accounting and preferably payroll. • Oral and written communication skills are a must. The individual must be able to communicate in a clear and concise manner both orally and in writing. • Must have the ability to read and comprehend simple instructions, short correspondence and memos. • Ability to calculate figures and amounts. • Ability to apply common sense understanding to carry out instructions furnished in written, oral or diagram form. To perform this job successfully, the individual proficient in Microsoft Excel spreadsheet software, Blackbaud Financial Edge Accounting software, Blackbaud Altru, Paychex payroll systems and ADI timekeeping systems or comparable systems. The individual should also have solid general computer skills. • While performing the duties of this Job, the employee is regularly required to sit. The employee is frequently required to reach with hands and arms and talk or hear. 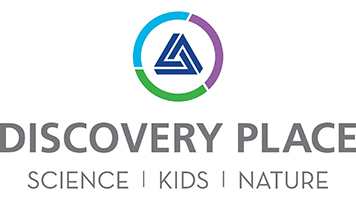 Employees of Discovery Place should uphold the mission, vision and values of the organization. We strive to provide exceptional service through four core values: uncommon courtesy, the pursuit of personal excellence, teamwork and inclusion. We value the diversity of opinions and intellectual thought and encourage an environment where employees can share ideas openly. The foregoing description is not intended and should not be construed to be an exhaustive list of all responsibilities of this job. Other duties may be assigned. This job description may be changed to include new responsibilities and tasks or change existing ones as management deems necessary.